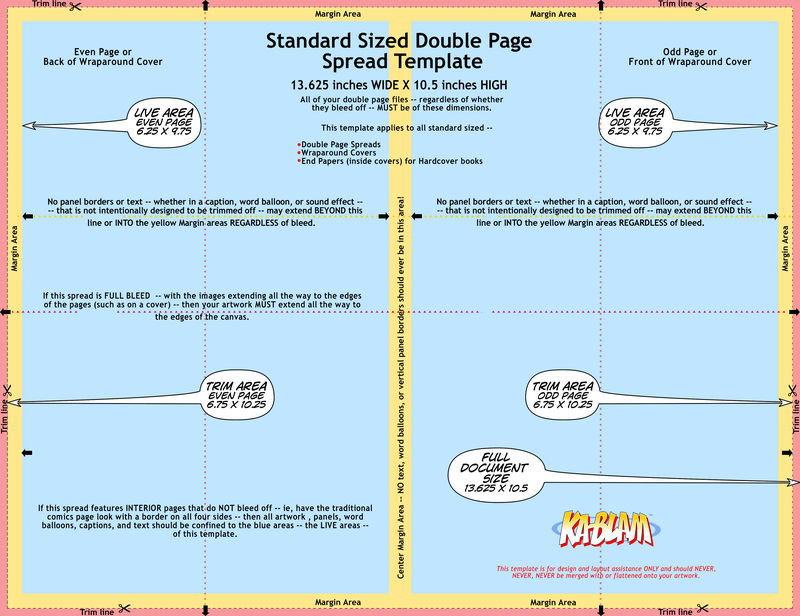 This template applies to all double page spreads for standard-sized comics and wraparound covers for standard sized comics. If you have a double page spread in your comic, please use this template and send your spread as ONE continuous file and NOT as two separate pages. Build your double page spread to the exact dimensions and specifications in the template. PreviousCan I print a book that's all — or mostly — text? NextHow do I order a custom-sized comic?